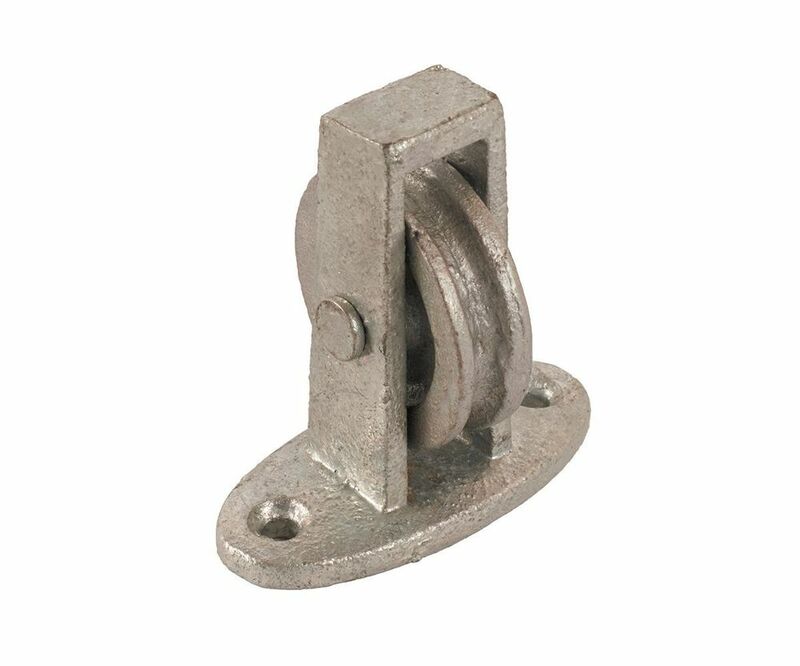 Solidly built from cast iron and galvanised for lasting performance and durability. Afix to a flat surface either horizontally or vertically with 2 screws through the base plate. The wheel features a groove which aids in keeping the rope in position and helps to prevent slippage. The pulley accepts rope up to 6mm.